After five years of service in Ridgewood, human resources manager Gary Hall has resigned, effective Sept. 1. Hall will be taking a job as human resources administrator for Bergen County Technical Schools and Bergen County Special Services School District. She noted that Hall had helped the district “ask the right questions” when personnel inquiries came up. After the meeting, Hall expressed mixed emotions. 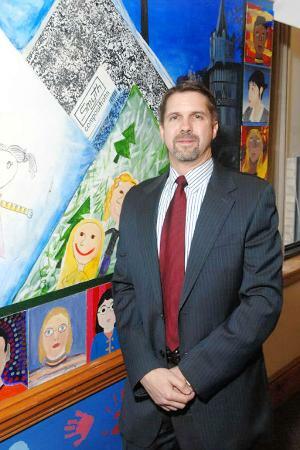 Just this past school year alone, Ridgewood has grappled with several human resources issues. Hall was one of the BOE’s chief negotiators during the months-long negotiations for the new Ridgewood Education Association (REA) labor agreement, which was approved last October. The contract process began the previous school year, when educators increasingly expressed concerns about working without a contract. The new REA agreement covers the period of July 1, 2011 through June 30, 2015 and will result in a compound annual salary growth rate of 2.3 percent over those four years, with higher employee contributions to their health insurance premium costs. for Participant Media, it was announced by Participant CEO Jim Berk. channel, Pivot, which launches August 1st. size of the company and its digital footprint. Women Making a Difference Award. encourage and empower every individual to take action.